The celebrated new musical Hadestown opened at the Walter Kerr Theatre on April 17. The musical by Anaïs Mitchell is based on Greek mythology and follows Orpheus' quest to overcome Hades and regain the favor of his love Eurydice. 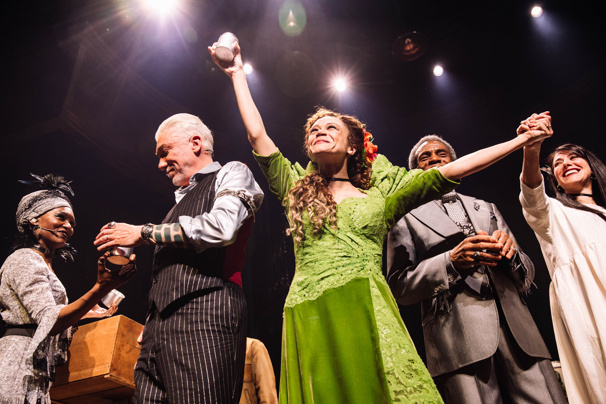 Take a look at the photos to see stars Eva Noblezada, Patrick Page, Amber Gray, Reeve Carney and André De Shields take their curtain call as well as the first-night guests in attendance on the big night. 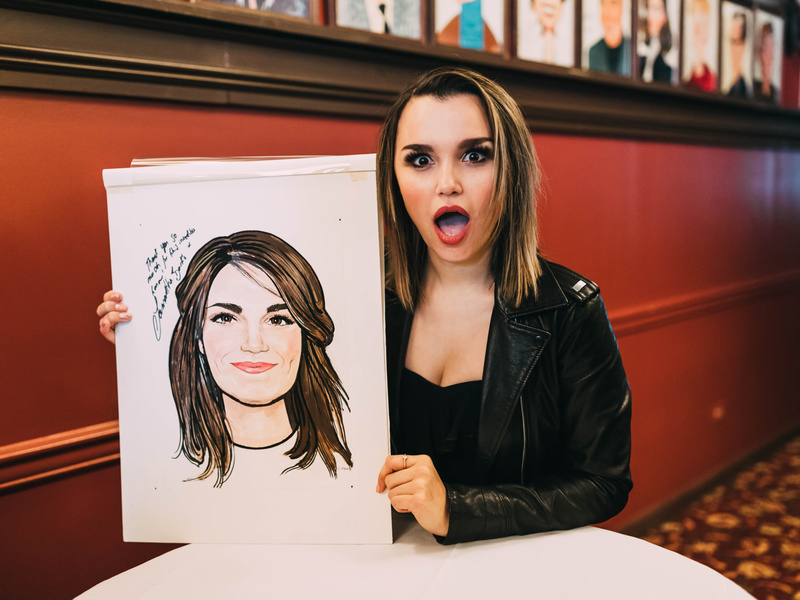 Pretty Woman leading lady Samantha Barks joined the ranks of theater legends on the wall of Broadway landmark Sardi's when she received her portrait at the restaurant on April 17. After breaking big as Éponine in the Les Misérables movie and playing several turns in West End musicals, Barks made her Broadway debut as Vivian Ward in the hit film's musical adaptation. Barks' co-stars Orfeh, Andy Karl, Jason Danieley and Eric Anderson were in attendance to celebrate the star. 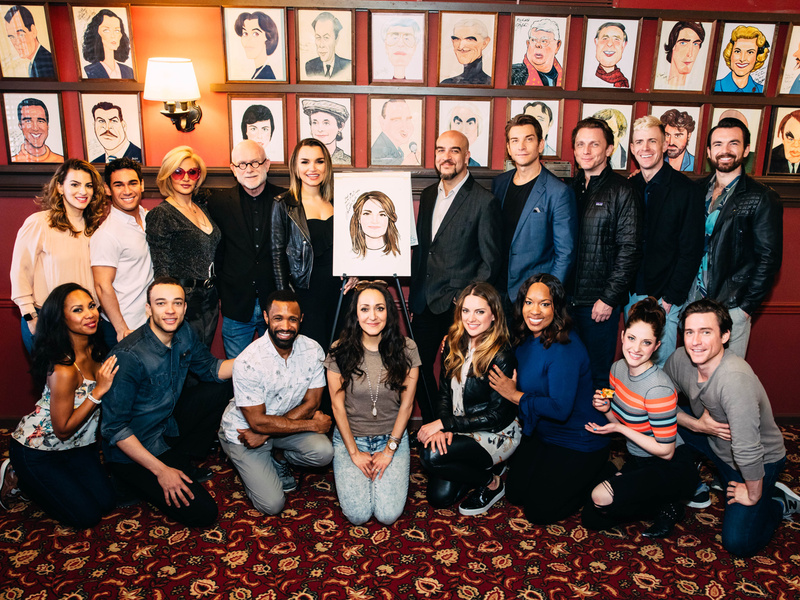 Take a look at the caricature and the Pretty Woman cast below. 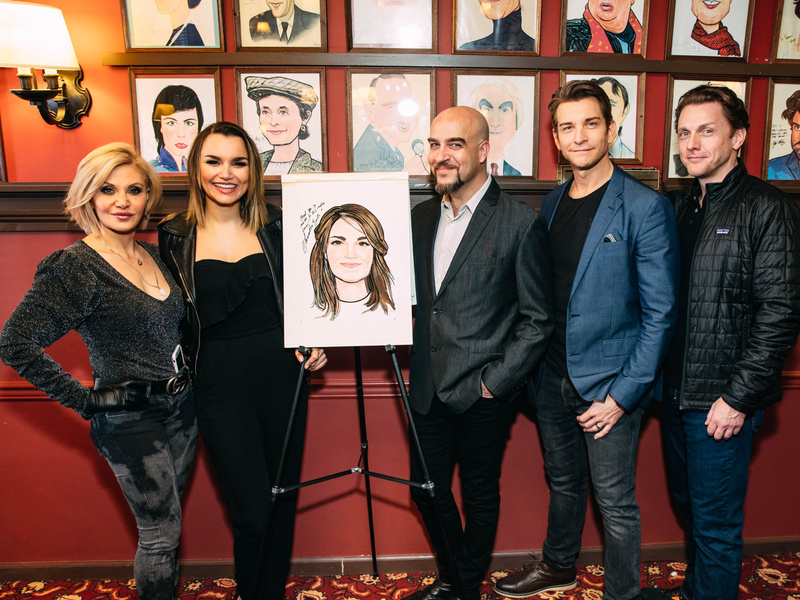 Orfeh, Samantha Barks, Eric Anderson, Andy Karl and Jason Danieley gather around Barks' new portrait. 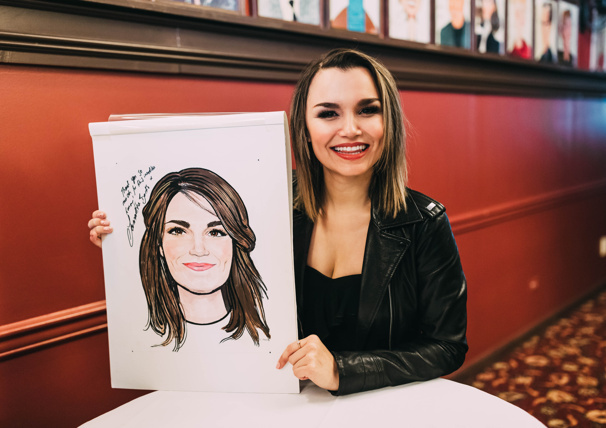 Samantha Barks looks wowed at her latest Broadway milestone. The company of Pretty Woman join Barks in front of her Sardi's portrait. CHARACTER: Judge Taylor, the small-town judge presiding over the trial of Tom Robinson, who is being represented by his friend Atticus Fitch. ACTOR: Dakin Matthew is an actor, playwright, director and theater scholar with over 50 years of film, TV and stage credits. 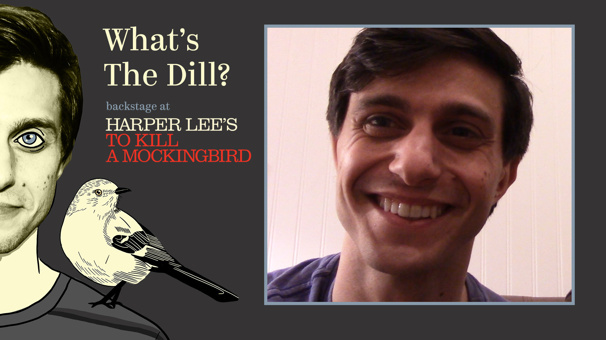 On Broadway, he’s been a dramaturg on productions of Shakespeare’s Henry IV, Julius Caesar and Macbeth and a performer in nine shows, including recent turns in the plays The Iceman Cometh and The Audience and the musicals Rocky and Waitress. 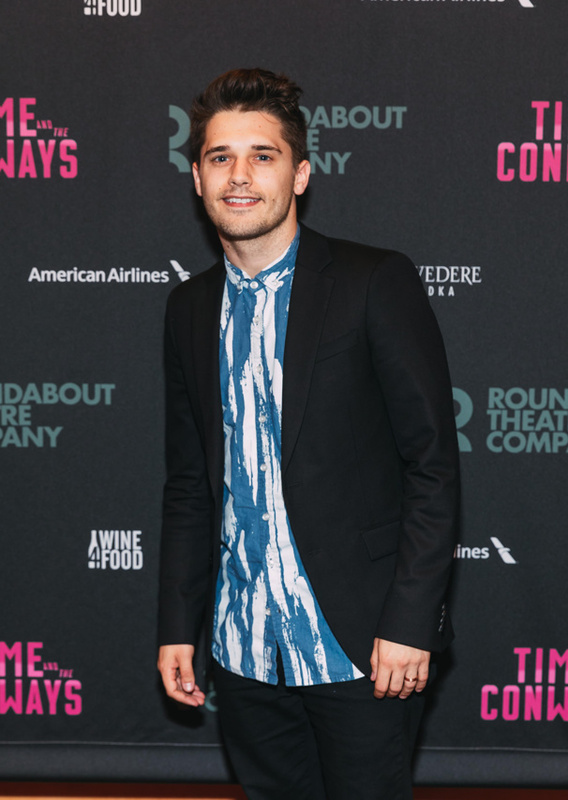 The principal company will include Andy Mientus (Spring Awakening) as Patrick, Declan Bennett (American Idiot) as Dale, John Partridge (EastEnders) as Buddy, Victoria Hamilton-Barritt (The Wild Party) as Inez and Cedric Neal (The Voice) as Willie. The musical is set in present day when Wes, a young fashion designer, buys an abandoned space, not realizing it had been the UpStairs Lounge, a vibrant '70s gay bar in the French Quarter of New Orleans, which, in 1973, was burned down in an arson attack, killing 32 people, and making it the worst attack on the LGBTQ+ community until the 2016 shooting at The Pulse nightclub in Orlando. Also featured in the cast are Carly Mercedes Dyer (Hadestown) as Henri, Gary Lee (Flashdance) as Freddy, Joseph Prouse (Hadestown) as Richard and Derek Hagen (The Twilight Zone) as Cops/Realtor. Casting for the role of Wes will be announced soon. Christie Brinkley is putting her jazz shoes back on. The veteran model and actress returns to the role of Roxie Hart in Chicago beginning on April 18. Brinkley will stay with the musical for a four-week limited engagement through May 12. Brinkley heads back to the Tony-winning revival following two prior stints as Roxie, in 2011 and 2012. She has also played the role in London and on tour. Based on the play by Maurine Dallas Watkins, Chicago features a book by Fred Ebb and Bob Fosse, music by John Kander and lyrics by Ebb. The production features direction by Walter Bobbie, musical direction by Rob Fisher and choreography by Ann Reinking in the style of Fosse.